1. Gwyneth Paltrow i Ralph Lauren, 1999. 2. Audrey Hepburn i Givenchy, 1953. 4. Michelle Williams i Louis Vuitton, 2012. 5. Grace Kelly i Edith Heath, 1955. 6. Gwyneth Paltrow i Tom Ford, 2012. 7. Charlize Theron i Gucci, 2004. 8. Nicole Kidman i John Galliano for Christian Dior, 1997. 9. Cameron Diaz i Oscar de la Renta, 2011. 10. 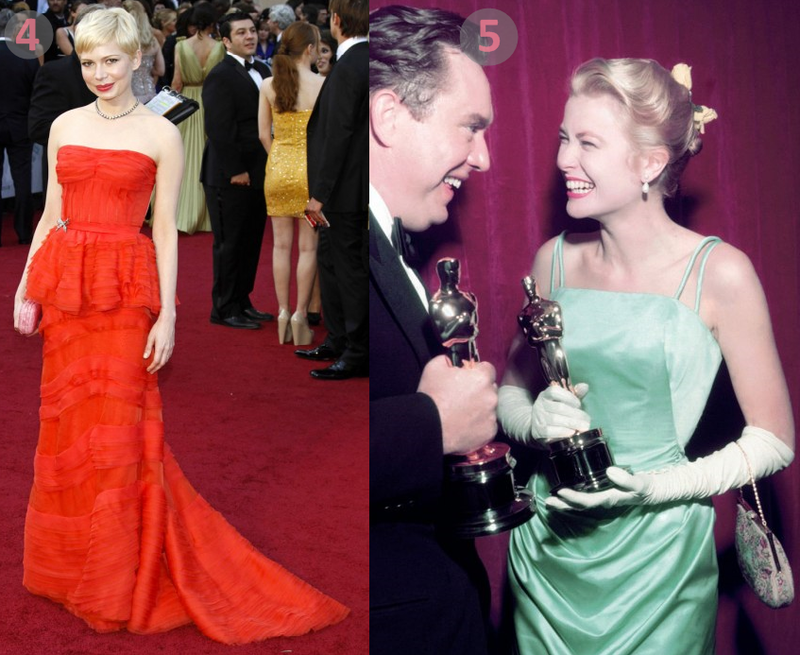 Michelle Williams i Vera Wang, 2006. English recap: The Academy Awards unite two of the things I love the most: great movies and pretty dresses, and I wish I could stay up all night watching the fashion show of the year. 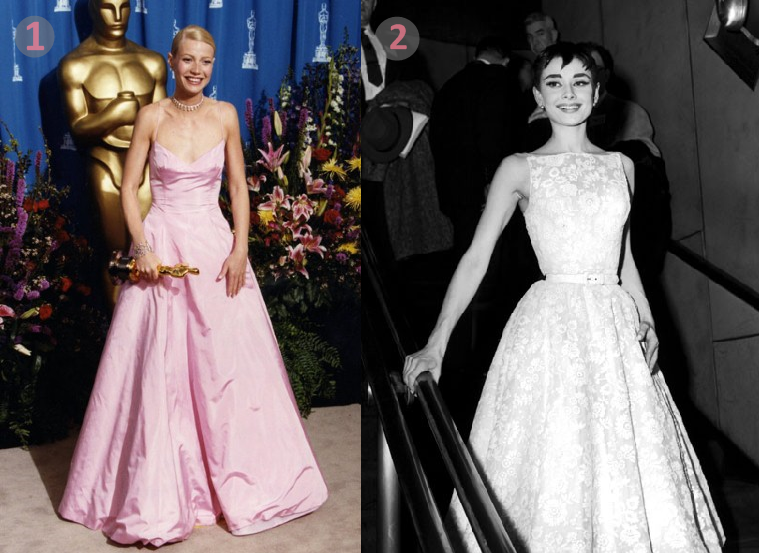 Above are ten of my all-time favourite Oscar looks.